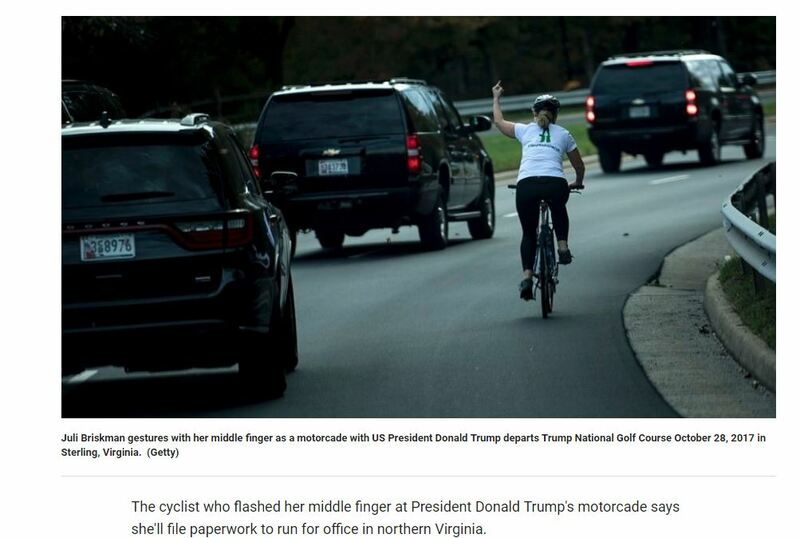 The girl who was riding the bike and gave the finger to Trump is now qualified to run the country. I am sure she understands economics, world trade, immigration, disease, and international war far better than Trump. She intends to file paperwork to get on the Ballot like the bartender from New York – Alexandria Ocasio-Cortez. The sad part – she could win. It is time we start our own movement – Bring a Rock Gathering and let these people all tax each other and rob each other and fire their missiles because the Russians exposed their lies until they exist no more. We will know it is safe when the mushroom cloud appears on the horizon. If we all bring a rock to the Caribbean and throw them into the center 200 miles away from everyone, we can start our own country and make it a felony with a sentence of permanent exile for someone to try to pass any law to take something from others for their own personal gain or under the pretense for a third party. We can get closer to real Global Warming and create a constitution that can NEVER be amended to introduce socialist policies. We can outlaw income taxes and start over as the Founding Fathers originally intended. Also – no career politicians. We all must vote mandatory by computer and no bill can ever combine anything that is not the same subject matter. We need someone to organize this one – lol.